1: Open RAPID RMS application in IOS. Price section facilitates to arrange price and cost by quantity wise in different manner with margin/mark up value. Following is pricing table in which item price is possible to add and change. In above table price and cost is added by three different ways. Single, case and pack. # of qty : It is field for qty enter which you want to define. In single by default value is 1. You cannot change # of qty for single. Case and pack is user define. How many items you want to put in one bundle or bunch is enter in case and pack. Value of case and pack must not same. For example value of # of qty for case could 5 and pack could be 7. Price : Price in single indicate price of that single item qty. And price in case and pack indicate that price of qty define in case and pack. Cost : Cost in single indicate cost value of single item. And cost in case and pack indicate total cost of qty available in case and pack. 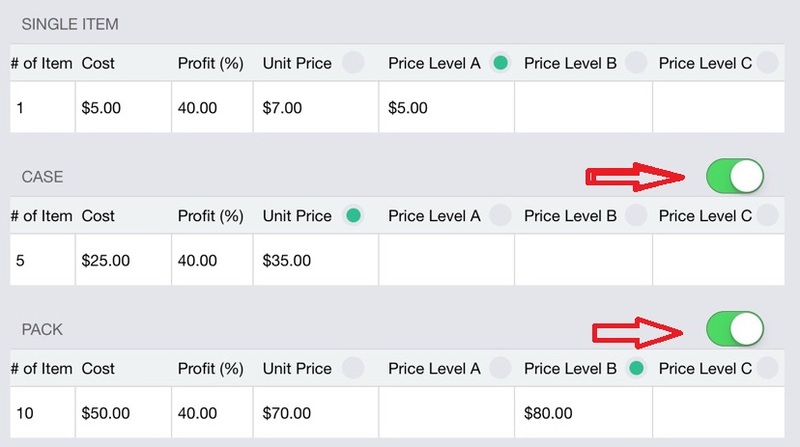 Margin/ mark up : Margin/mark up is profit calculation according to price and cost. You can set margin and mark up both value. According to that price and cost for single, case and pack will affect. Qty OH : Qty OH is figure of item which is available in store at present. Also you can consider Qty OH as a stock of item available in store.According to value of # of qty for case and pack, Qty OH will set. For example you can set price value as per following table. 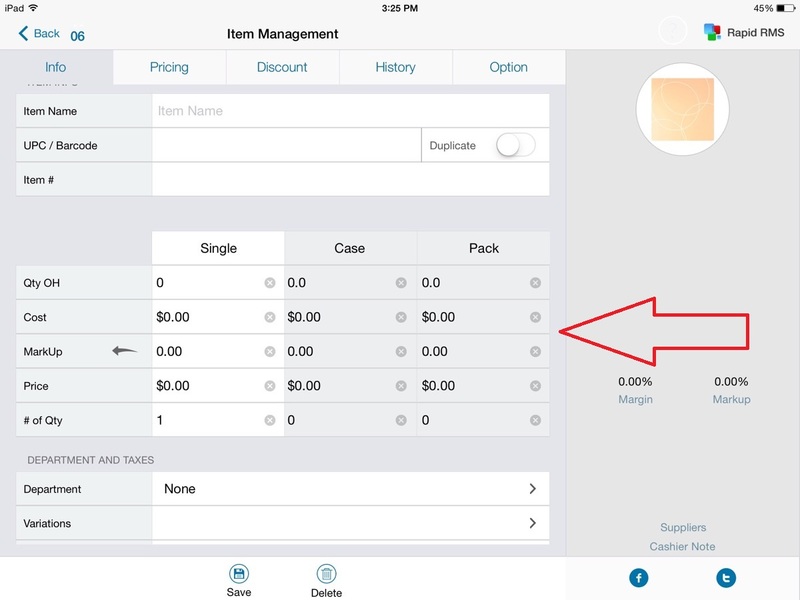 You can set pricing level by defining various price for single case and pack. Following is structure for price level. Open any item in edit mode. Here in this table all values of price and cost will reflect from pricing table. Also you can change value from here also. You can define different price level for same item for single, case and pack. 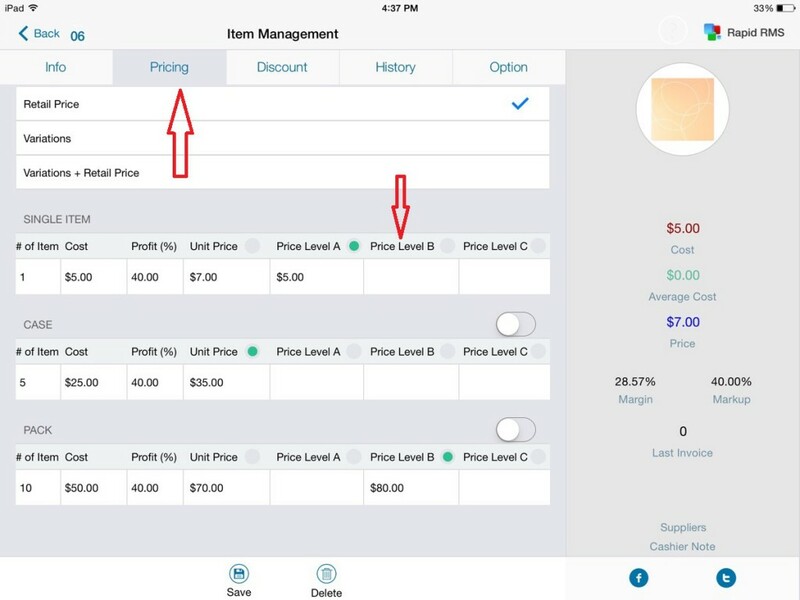 For example for single if price level A is selected that means in POS screen price of single item will consider $5.00 not $7.00. Note that there is one button for case and for pack. When buttons are OFF then no reflection of case and pack in POS screen when item is searched by single barcode. 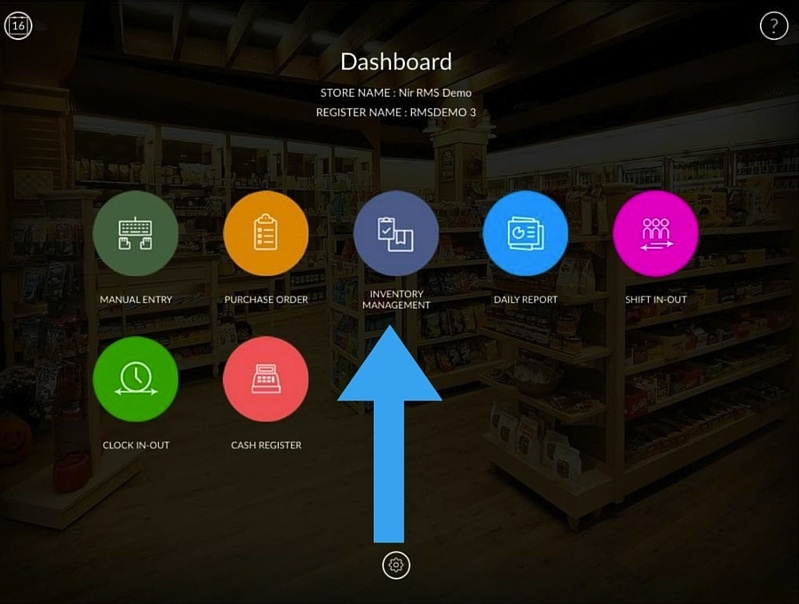 But when buttons are ON that means in POS screen when item is searched by single barcode then pop up window will display for case and pack.